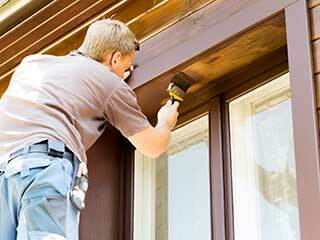 If you've got an older home that seems a little on the drafty side, you may have a problem with old windows. This generally means gaps have formed around the glass, which allows hot air to escape and cold air to get in a. If this is a problem in your home, it may be time to replace your old windows with newer, more energy efficient ones. Removing old windows can be messy work and it needs to be done with a lot of caution to ensure the structure surrounding the window is not damaged needlessly. This takes a considerable amount of skills and expertise, not to mention a whole lot of patience. It's not a job that can be rushed as it is important to closely inspect the old windows to determine the best way to remove them. This is usually done before any work begins. It is a very important decision as the new windows will be visible from both the inside and outside of your home. Choose ones that will make the interior of your home look brighter and more spacious while adding character and charm to the exterior. Perhaps your old windows were too small and didn't allow enough light in so you may opt to have ones with larger frames installed. This will involve removing a section of your wall, but the added light that floods into your home will be worth it. You should also look at energy efficiency benefits. This is definitely an aspect that will make your property feel cozier. When your home is no longer exposed to drastically changing temperatures, your heating costs are sure to be considerably lower. Once your new windows have been installed, it is inevitable that there will be some patch up work to do around the new frames, both internally and externally. Consider this as an opportunity to change the color and texture of the walls. This could be the perfect time to change things up a little. Apart from helping you replace your old windows, our experts at Drywall Repair & Remodeling Canyon Country can also offer you professional wall painting and renovating services. Your home will look amazing once we're done.